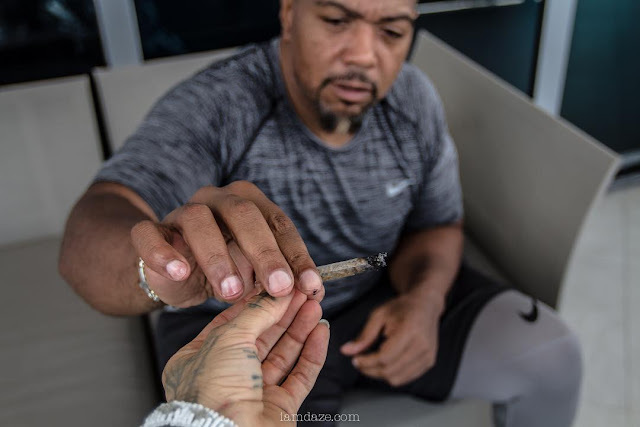 Timbaland is not the average customer. 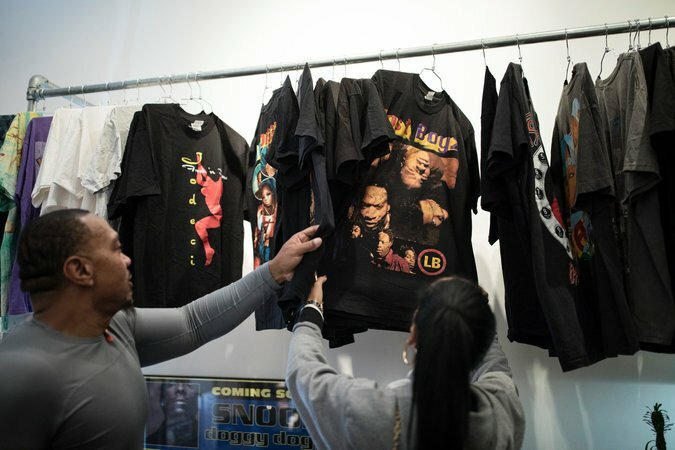 As a renowned music producer, rapper and collaborator with Aaliyah, Jay-Z and Missy Elliott, he had an all-access pass to the cultural renaissance reflected in the store’s neatly hung racks. When he showed up at the store on a chilly Thursday evening, it wasn’t just to shop. With a backdrop of era-appropriate dancehall and shelves freighted with “South Park” dad hats, Polo-branded basketballs and yellow Sony cassette players, Timbaland offered a running commentary on past creative partners and far-flung musical inspirations. Timbaland, whose legal name is Timothy Mosley, grew up in Norfolk, Va., and now splits time between Miami and Los Angeles. He was on a one-day spin through Manhattan late last year, and his itinerary included a stop at Spotify to preview new music and dinner at Jean-Georges Vongerichten’s ABC Kitchen. Considering his notoriety, the convoy was nimble: his girlfriend Michelle Dennis and a linebacker-looking man in a Tennessee Titans hat who was his driver and bodyguard. 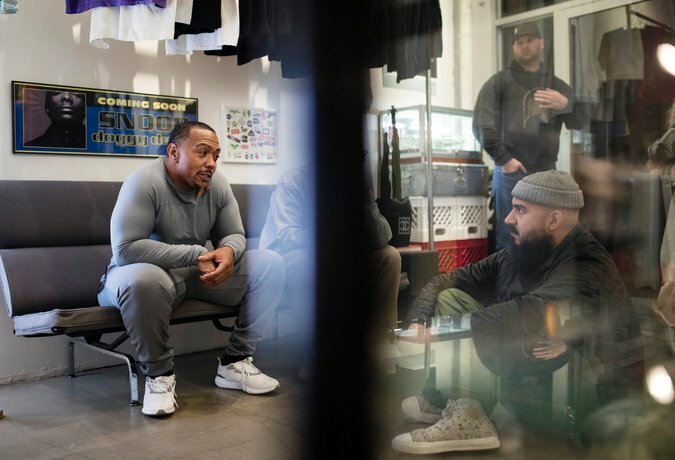 Timbaland said he had lived in New York for six years during the “era of drug dealers and extortionists,” but felt the city had changed after the Sept. 11 attacks. “Not only did they knock down the buildings, they messed up the vibe,” he said. While Timbaland is associated with an older generation of entertainers, he remains relevant as both a musician and a personality. Following a downswing of weight gain and OxyContin abuse, he has re-emerged as an in-demand producer. Timbaland rose to prominence producing for 1990s R&B stars including Aaliyah and Ginuwine, and forays into hip-hop and pop cemented his legacy as a key architect of mainstream music over the last 20 years. More ringmaster than wordsmith, he released three studio albums as part of the duo Timbaland & Magoo, and three more as a solo artist, most recently in 2009. 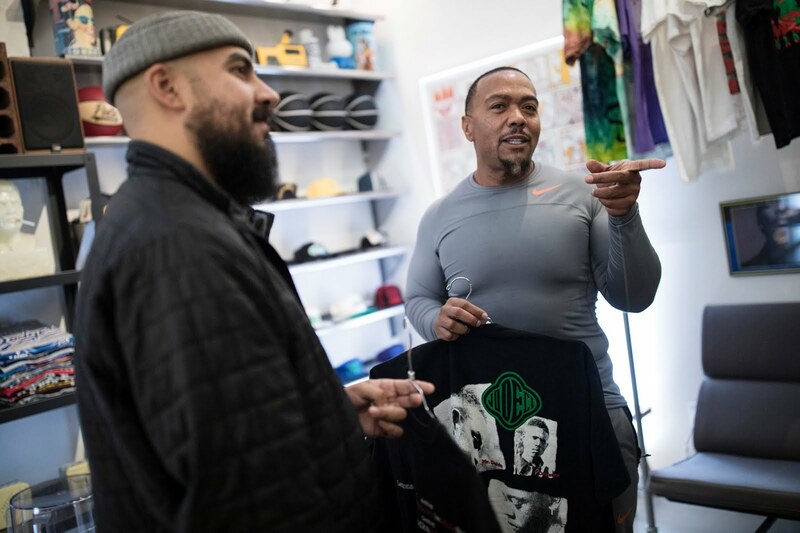 After nearly an hour of meandering down memory lane, and a quick spin through a Nick Atkins art show in another area of the boutique, Timbaland got down to business. He settled on a shirt for Jodeci’s 1993’s “Diary of a Mad Band” album, which had personal significance. Jodeci, a platinum-selling R&B group, had mentored him when he was in his early 20s, while he was part of a collective known as Swing Mob. As a parting gift, Mr. Procell offered Timbaland a rare Aaliyah shirt. Her singles “Try Again” and “Are You That Somebody?,” both from movie soundtracks from the late 1990s, were among the singer’s highest-charting records before her death in a 2001 plane crash.